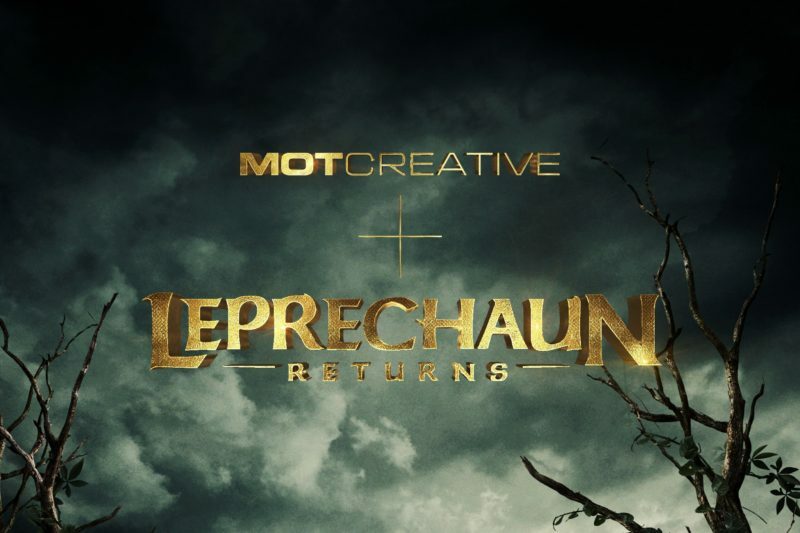 We recently wrapped the Key Art campaign for Lionsgate Home Entertainment’s 8th installment in the Leprechaun franchise, Leprechaun Returns. 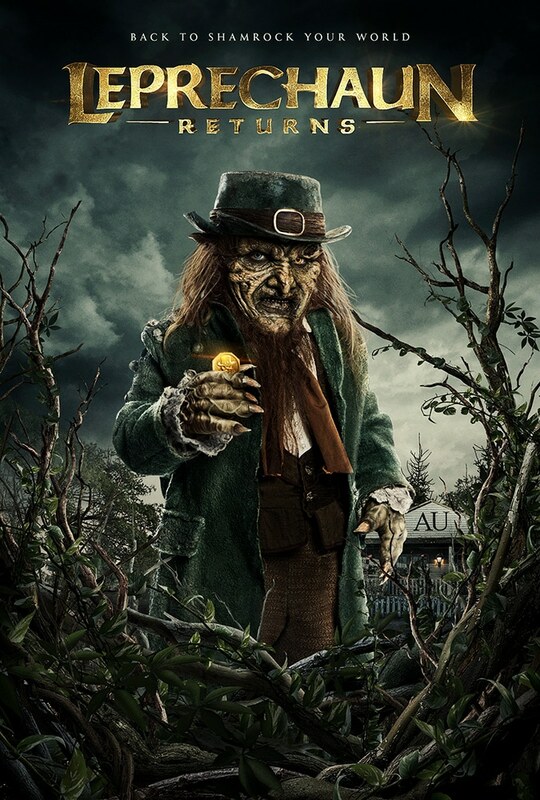 Our spooky designs are making their debut along with the trailer which is full of gore, magic, and mayhem! The modern spin on the cult classic is set in a college sorority that is “going green” (in more ways that one), and we were so excited to be a part of a film that has had such a following over the years. 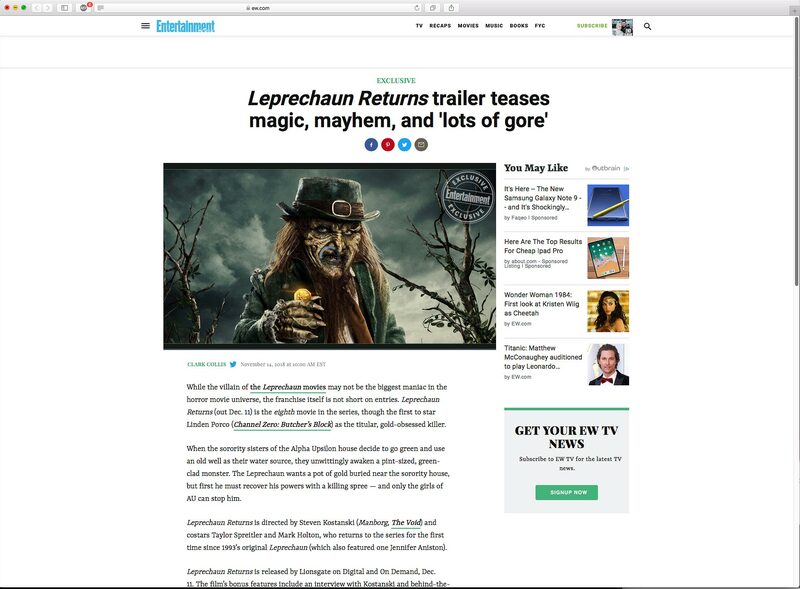 Read the recent Entertainment Weekly article to learn more!